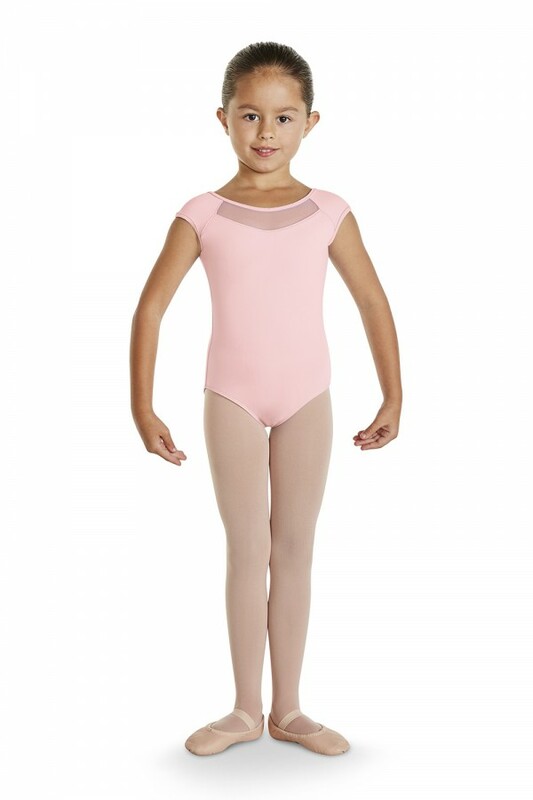 The perfect leotard for your tiny dancer. 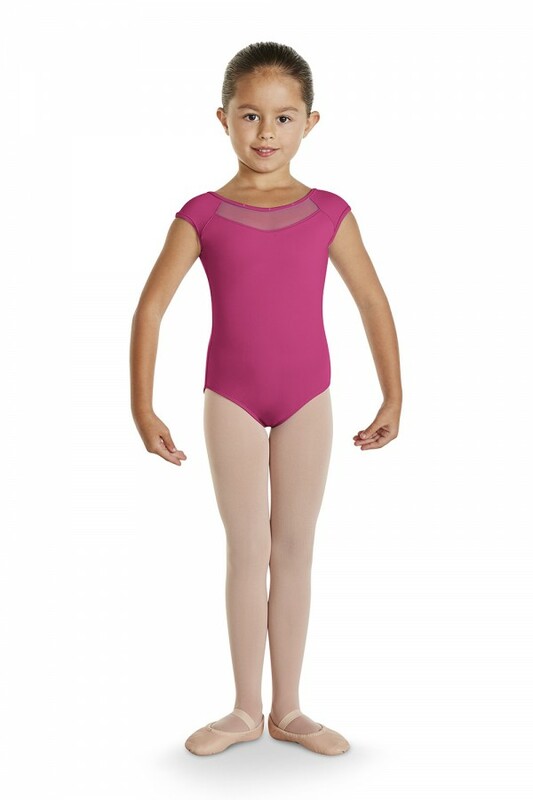 This modest cap sleeve leotard features a mesh bow back cut out design. 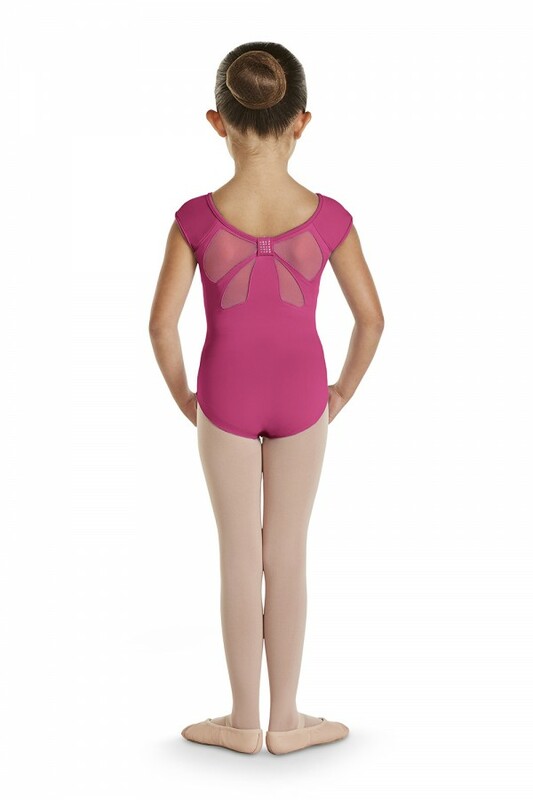 Diamante detail at the center of the bow and across the neckline for a finishing touch.